Far to the west, a factory full of overworked and underpaid Christmas workers are asking for your help. Can you help them re-ignite their trollish manager's Christmas spirit? Just north of Port Sarim you can find Holly and Ivy. They will tell you of the woes they and their factory worker colleagues are having to endure under the reign of their target-focused, trollish boss - Carol. It would seem that Carol is a bit bogged down in hitting targets and has let her Christmas spirit slip. Perhaps you will be able to remind her what Christmas is all about and get her to give her workers the holiday season they deserve. If you're able to help the factory workers restore their boss' Christmas spirit, you'll be rewarded a sack of presents and giant present you can carry around, as well as a Mount Quidamortem Snowglobe! Falador park is now feeling a bit more Christmasy. 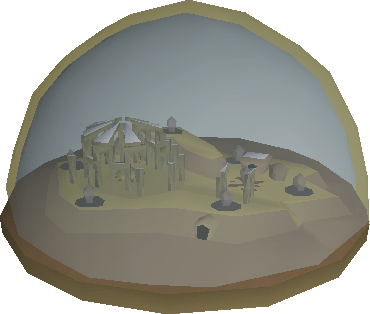 The Rellekka slayer cave has been extended to include Kurasks only killable when on a slayer task. The Deadman Invitational has been raging on for the past few days and it will be reaching its conclusion this Saturday! Make sure you watch the mayhem unfold and see who takes home the $10,000 grand prize from 6:30pm GMT on the RuneScape Twitch channel! Yay, cant wait to do the Christmas Event. Merry Christmas to the whole entire team, hope it's a safe one for everyone. Just found a really weird glitch, the skeleton across from anvil in draynor village that carries a club is immune to venom. don't believe me, come view me in game, been here for 10 mins. interested how the environment will be this time, other than that i wish everyone a happy Christmas!